The Wedding Shop and Ernest Noel Formal Men's Hire offer wedding gowns, bridesmaids dresses and accessories and men's formal hire. Brides by Solo welcome you to the largest selection of wedding dresses in the area with over 200 stunning gowns on display. Features designer wedding dresses for Cambridge, Newmarket and Suffolk, including Augusta Jones, Jesus Peiro, Lara B Couture, Mikaella and Rembo Styling. Wedding cakes, birthday cakes, anniversary cakes and novelty cakes for Suffolk, Norfolk, Essex and Cambridgeshire. Wedding Cakes Suffolk - Dhotel Patisserie specialise in contemporary and classic wedding cakes in Suffolk, Norfolk and East Anglia. A personalised catering service for weddings, parties, special occasions and parties. Experienced staff will be pleased to arrange your venue, provide the cars, select the flower arrangements and design your menu. One of Cambridgeshire's most dynamic photographic studios, offering a unique, fresh approach to contemporary lifestyle and wedding photography. Award winning photography with a growing reputation and enviable client satisfaction - in high demand for weddings, portraits and commercial photography. South East England based photographer specialising in portraits, weddings, fashion and commercial photography. Professional and creative photography covering East Anglia and London. Creative photography at affordable prices. Based in Newmarket, Suffolk but also covering Cambridgeshire, Norfolk, Essex, Bedfordshire, Hertfordshire and North Devon. Suffolk wedding photographer providing relaxed, informal and beautiful wedding photography. A member of the Artistic Guild of the Wedding Photojournalists Association, Andrew has a unique reportage style and brand of imagery capturing beautiful meaningful images unobtrusively. Martin Beard Photography are wedding and portrait photographers based in Bury St Edmunds, Suffolk. Chelmer Marquees is a family owned business, established in 1985 providing contemporary or traditionally styled marquees. Hadley Marquees are experts in marquee hire including wedding marquees throughout Suffolk, Norfolk, Cambridgeshire and Essex. Visit Marquee Hire Suffolk - Hadley Marquees. The Pantry showcases the very best local and British produce. Pick up freshly-baked breads, Norfolk rapeseed oils, cheeses, cured meats and smoked fish in the deli. The 4 star Bedford Lodge Hotel is a haven of peace and calm, spectacularly situated in 3 acres of beautiful rose gardens in Newmarket, Suffolk. 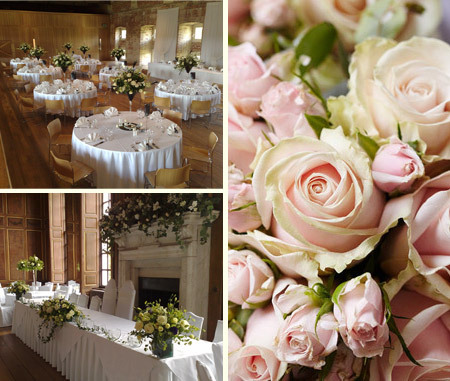 If you've dreamt of getting married in a country house, your search for a venue stops here. Chippenham Park is a privately owned Grade II listed house, surrounded by 300 acres of parkland. This spacious timber-framed barn dating from the 1600s is an idyllic setting for a wedding with civil ceremony, reception and evening party all in the one place. Hockwold Hall - Weddings and Events Venue in Norfolk offers weddings and events from 40 to 300 guests. We have a banquet hall, large marquee and 10 en-suite bedrooms. The property and estate date back to the 1500's and is a former royal residence. Ickworth House is a historic Grade I listed building created in 1795 by the 4th Earl of Bristol. Nestling in 1,800 acres of spectacular gardens and wooded parkland designed in part by 'Capability' Brown, it provides a beautiful setting for your event. The Jockey Club Rooms is an exclusive private members club with a heritage dating back over 260 years. It has recently opened its doors for weddings, business events and high quality accommodation. Why not be among the first and the few to marry within its magnificent 'hallowed' walls? Both barns are covered in stunning flint work and proudly displaying their original timbers, its no wonder The Granary Barns are fast becoming one of the most sought after venues in the area. Safe and Sound Mobile Crèches was established in 2006 and specialises in bespoke childcare for weddings and other one-off events.